Situated at a fairly impressive altitude of 6,310 metres, Adi Kailash also referred to as Chota Kailash or Little Kailash is in one or the other way a replica of Mount Kailash in Tibet. It is situated in the Indian Territory in Pithoragarh district of Uttarakhand within a proximity to the Indo-Tibetan border. In the quietude of the tranquil Kumaon Himalayas, Adi Kailash is a popular pilgrimage of the Hindu devotees. 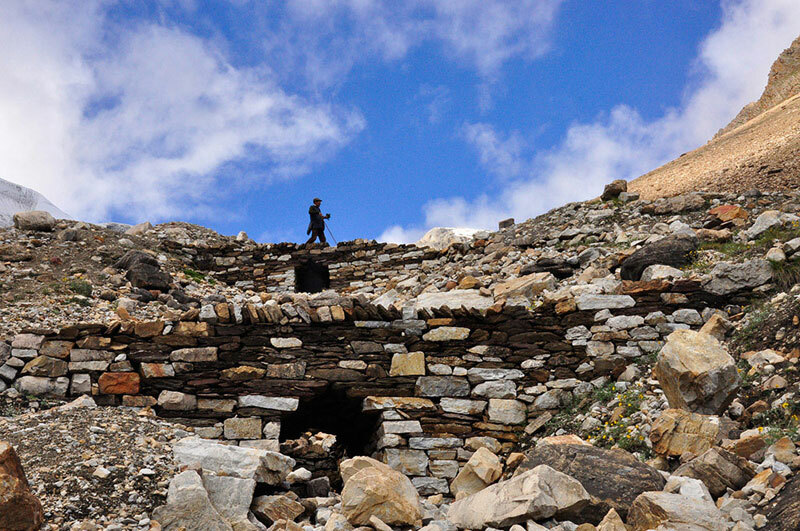 One can catch a glimpse of the emerald Parvati lake and the Gauri Kund adorned on the very foot of Chota Kailash. The love for hiking and spirituality often attracts the tourists to enjoy the splendor of Mount Adi Kailash which features wild flowers, fruits, cascading waterfalls and the thick woodlands that can engulf the wanderers in its gloom. 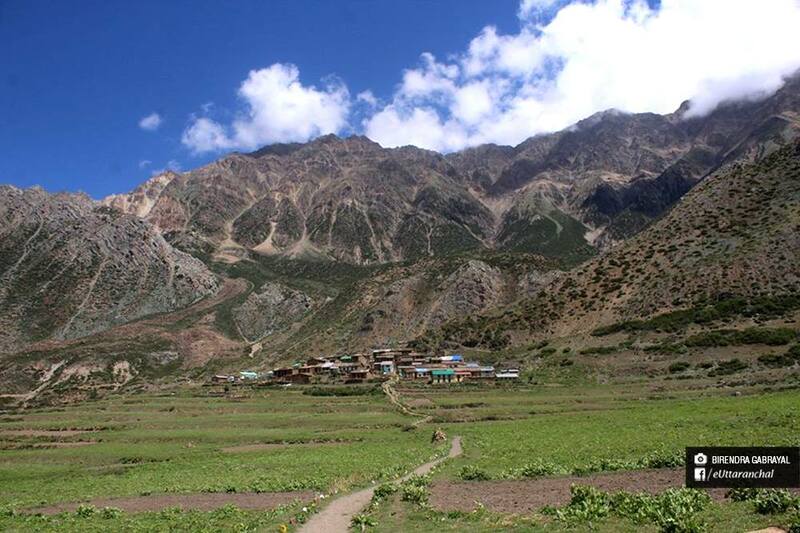 The trek passes through the awe-inspiring Darma, Byans and Chaundans Valley. One can admire the grandeur of the snowy Annapurna peak, the bubbling Kali River and the Narayan ashram. Many devotees like to head to Adi Kailash as in this trek one can explore the tiny Kuti village named after ‘Kunti’, the mother of Pandavas. At the very foot of Chotta Kailash is Gauri kund reflecting its entire expanse. Yet another water body close by is called Parvati Sarovar. Also known as "Mansarovar" it is much smaller than the original one. A temple dedicated to Shiva and Parvati is there at the shoreline. Following the Chinese occupation of Tibet Chotta Kailash served as the most revered substitute of Mount kailash. For experiencing spirituality in the lap of the Himalayas, the pilgrims can pay obeisance at the temple dedicated to Lord Shiva and Parvati, adorned on the shoreline of the Adi Kailash. 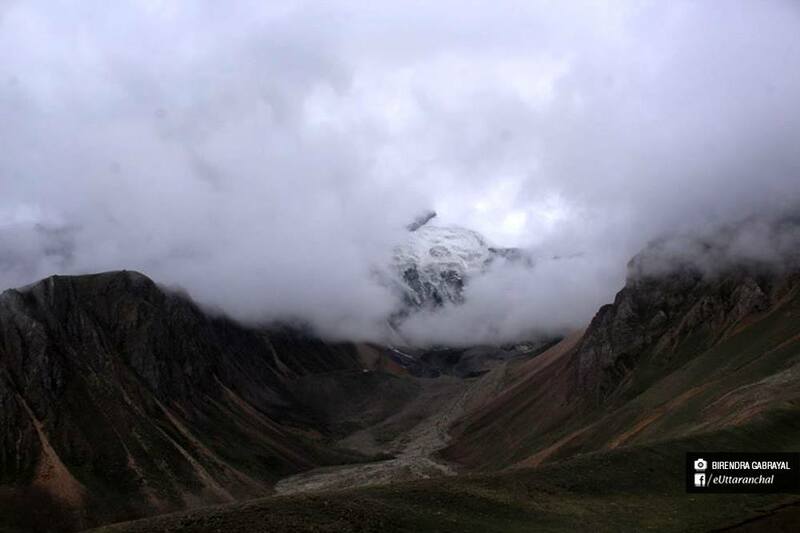 During the Chinese invasion of Tibet, the Chota Kailash was revered next to Mount Kailash by the locals. From Gunji the Kailash Mansarovar route branches off to Kalapani from where the Kali river originates. Onwards from here is Navidhang (3987m) Lipupass is only 9 kms from here. From Navidhang "Om Parvat" ,the miracle of nature is clearly perceptible. Snow lies on this mountain in the shape of a perpetual "OM", the primordial sound. All other slopes may be bare but this inscription in snow is everlasting and as one observes it, one gets the feeling that the mountain itself is Lord Shiva incarnate. Devoutly referred to as ‘Chota Kailash’, the towering Adi Kailash mountain will leave you gasping for breath as one try to comprehend the sheer size of this peak associated with Lord Shiva. The chain of snow covered peaks that one used to look at from the vantage of hills of Uttarakhand stand right in front. Surrounded with mighty Himalayas, the mesmerizing sightseeing is visible at every direction one turns his or her gaze to. The distinguished Adi Kailash is one of the most revered mountains of India, known for its spiritual munificence and hiking bliss. According to the Hindu mythology, Adi Kailash is the abode of Lord Shiva, his consort Parvati and their offspring Ganpati and Kartikey. Therefore, the spectacular Adi Kailash mountain range is considered as the most sacred mountain ranges in the world and is worshiped by many Hindus for its religious importance. The Adi Kailash Yatra Circuit starts by a gradual climb to Darma Valley and then ascends to Kuthi Yankti Valley via the Sin La pass to join Mount Kailash-Lake Mansarovar, the Tibetan pilgrimage route down to the mighty Sharda River. Arrival at Darchula by evening. On arriving check in at a hotel, have dinner and enjoy an overnight stay at the hotel. The morning after breakfast drive to Tawaghat, from here we will start our day 1 trek to Pangu, a Bhotia village. 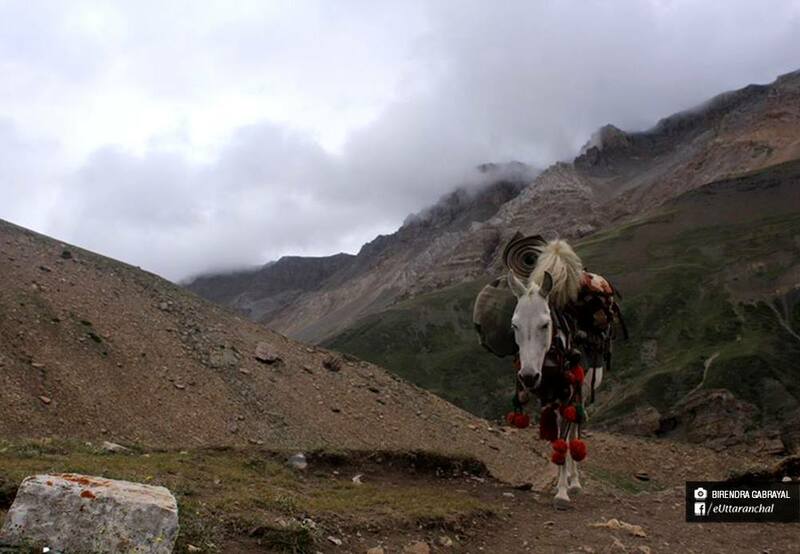 The trek passes through the alluring valley. Upon reaching have scrumptious dinner and an overnight stay at the camp. In the morning we will trek down to Juyntigad. After a steep ascent reach Sasa Village. The gradual climb is up to Tihalakot. Here is also a small Bhotiya village. By evening reach Sirkha ground. This is an ideal camping site. Have dinner and overnight stay at the camp. In the morning trek for 2 km down Samuri. From here a steep stony climb through the thick forests of Sumariya - Dhar (3048 mts/9998 ft). On the top there are so many stone boulders with flags. From here you will enter in a thick forest to the stream Simkhola gad. After few minute you will enter at Galla village and Jipti. Again you can see Kali River which is missing from Tawaghat. Reach Galad by evening, have dinner and overnight stay at Galagad in tents. In the morning after breakfast trek to Malpa. Today the trek is difficult up to Garbyang. There is a steep down up to the Kali River. After few hrs, the trek we will find a beautiful Najang waterfall. It's almost 100 feet high. After a zigzag trek we will reach Malpa, finish the day with a nutritious dinner and have an overnight stay in the cosy tents. In the morning after breakfast set out for another challenging trek. You will find lush green valley, murmuring waterfalls falling like shower. In last couple of hrs we will trek a steep ascent till Budhi Village. Have dinner and overnight stay in tents. In the morning after breakfast start your trek with a steep climb to Chhiyalekh. Today we will also trek through lush green valley filled with plentiful wild flowers. Today you can see also a glimpse of Mt. Annapurna and other Himalayan peaks. The trek is full of thrill with its beauty. Arrive at Gungi by evening, have dinner and overnight stay in the tents. In the morning trek up to Kutti follow to Kutti River. Here you will find high altitude forest of Bhojpatra (Betula Utilis). Admire a magnificent view of the Api and Nampha peaks. 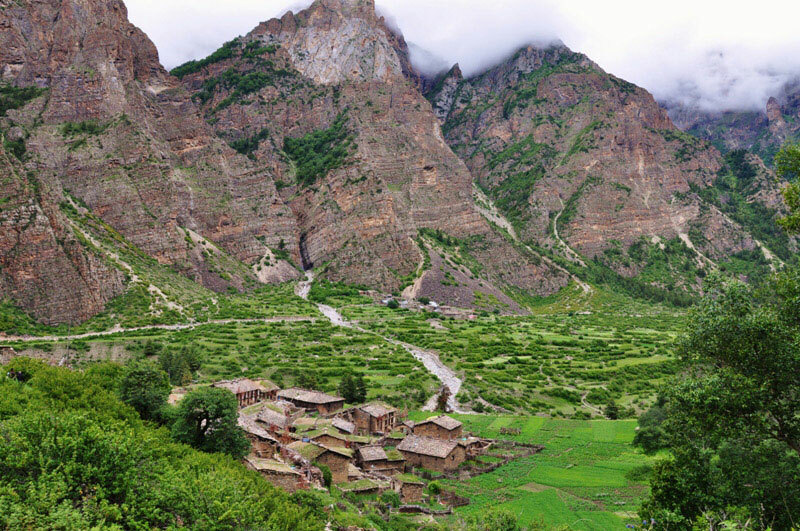 Kutti is the last village on this trek which is inhabited by the Bhotia tribes. Kutti is named after Kunti (Mother of the Pandavas) in the epic Mahabharata. Dinner and overnight stay in tents at Kutti a check post of ITBP (Indo-Tibet Border Police). Dinner and overnight in tent/Fiber Huts in Jollingkong. In the morning start your trek to reach Jollingkong. It's the last stretch of the trek to reach the base of Holy Mt Adi Kailash (6191 mts/20307 ft). Arrive at Jollingkong by evening. 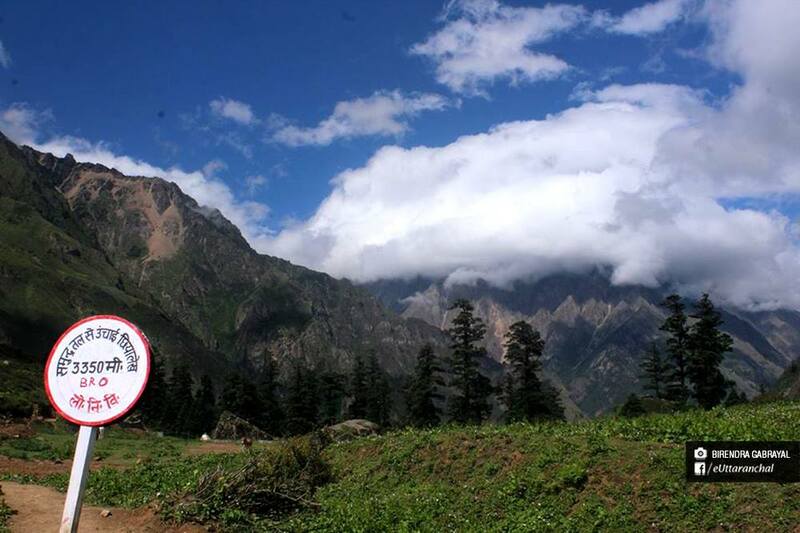 Here is a check post of ITBP (Indo-Tibet Border Police). Have dinner and overnight in tent/fibre huts in Jollingkong. In the morning trek to Mt. Adi Kailash. One can see Parvati Lake also. After spending a couple of hrs trace back your feet to Jollingkong. Have dinner and overnight stay in tents/fibre huts in Jollingkong. In the morning track back to Kutti. Have dinner and overnight stay in tents. After breakfast trek to Budhi. Have dinner and overnight stay in tents. Trek to Malpa. Enjoy your dinner and overnight stay in tents. Trek to Sirkha. Have dinner and overnight stay in tents. In the morning trek to Tawaghat followed by a drive to Darchula. Enjoy dinner and an overnight stay in hotel. What is Adi Kailash famous for? Adi Kailash is famous among tourist as Pilgrimage and Trek. Adi Kailash is popular destination for following activities/ interests - Adventure, Pilgrimage, Trekking. Travelling to Adi Kailash in 2019? Contact us for planning your Adi Kailash tour with best travel packages of as per your requirements! Get your queries resolved faster.